Alison Rushworth is an experienced digital consultant with a track record of driving business value through innovation, customer strategy and experience design. With more than 20 years of experience in product/service design and digital strategy, Alison is a recognised expert in human behaviour. She is known for using the techniques of Human Centred Design to help companies develop new, usable and delightful experiences for their end customers. Leading Strategic and Experience Design for BCG Digital Ventures London, Alison guides teams that deliver exceptional experiences across all platforms – both physical and digital. Alison is an expert in applying design thinking techniques to complex B2B environments – leveraging the techniques of human centred systems to develop a deep understanding of the needs and motivations of the players across the full value chain to identify new opportunity spaces. The key to her approach is the seamless merger of future visioning techniques with in-depth research and to establish creative environments that allow teams from all backgrounds to invent. 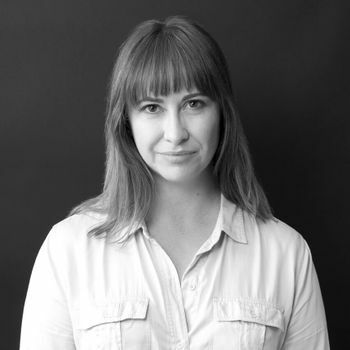 Before joining DV, Alison spent 8 years with AKQA leading their digital strategy and user experience design practices. While there she worked on a number of innovative programs for clients – from the development of connected product experiences, to the creation of global omni-channel product and brand ecosystems.